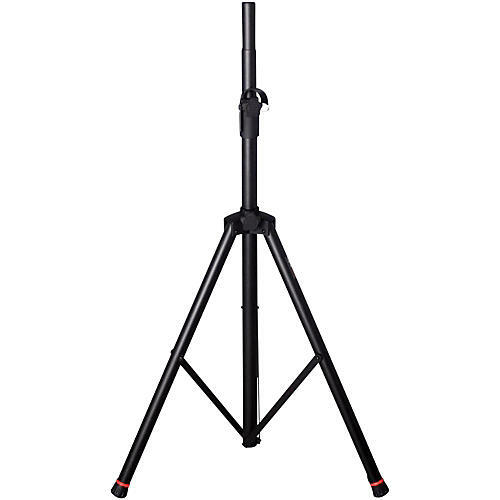 Frameworks adjustable speaker stand with aluminum frame, removable safety trim on feet, and 81" maximum height and 48" minimum height. Has a 125-lb. capacity.